With great coastline to the west, miles of vineyards in the center, and four national parks to the east it’s easy to overlook northern California as a travel destination. That would be a mistake. We’ve put together a short road trip that hits some great, and mostly overlooked, spots in the Golden State. Our itinerary round trips from Sacramento but, if you have the time, a great alternative is to keep heading north and attach Southern Oregon destinations – Ashland and Crater Lake – into the mix. Hissing steam vents and bubbling mud pots are evidence of the activity still raging beneath the surface at Lassen Volcanic National Park. 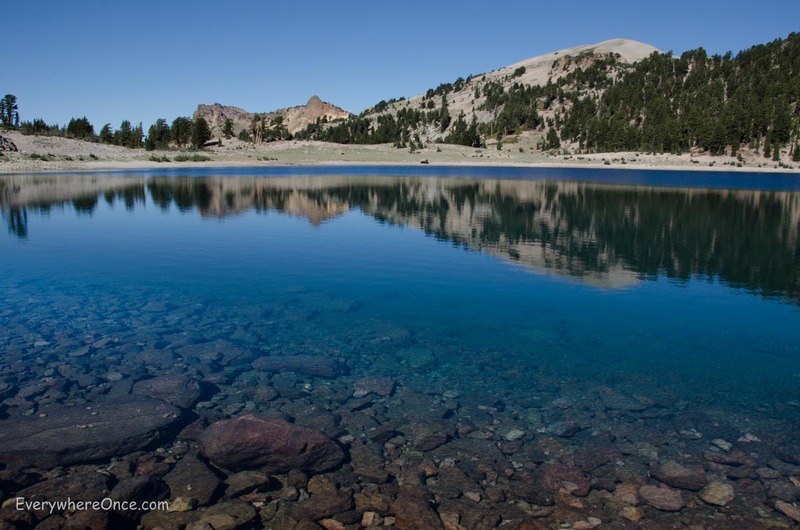 Along with the shades of Yellowstone, there are soaring peaks, alpine meadows and serene, glistening lakes. 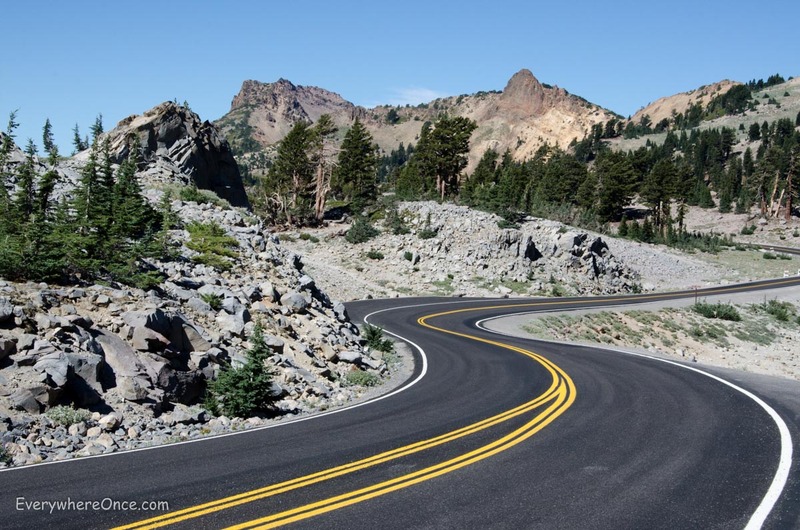 The best part: Less than a three-hour drive from Sacramento, Lassen is one of the least-visited national parks in the system–meaning this natural beauty comes without the crowds. From just about anywhere in the town of Mount Shasta you can see its namesake, the highest mountain in northern California at just over 14,000 feet. 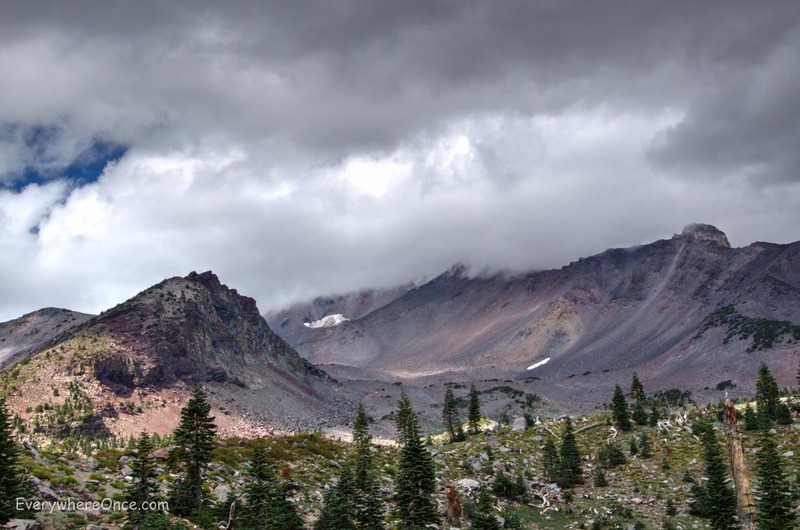 For a closer look, head into Shasta-Trinity National Forest. Although there are plenty of hiking trails that offer great mountain viewing, we took the path of least resistance and scaled the terrain by car as far as the road allowed. 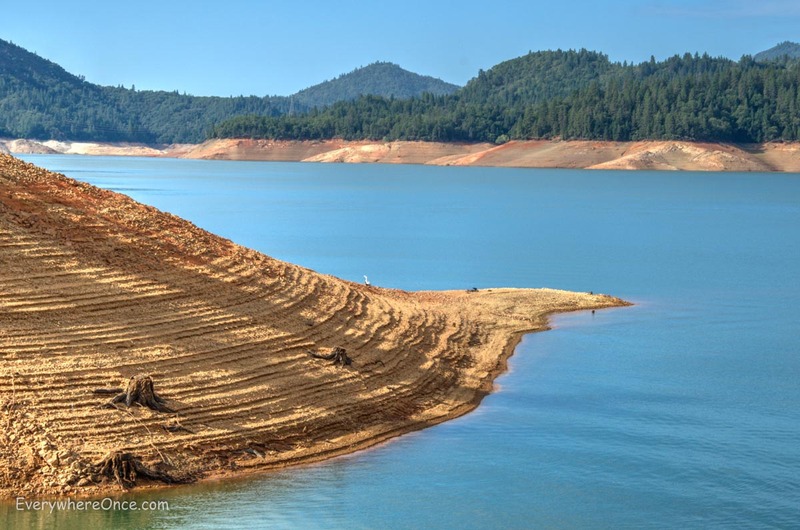 Shasta Lake’s most striking feature is the scalloped red rock that forms its banks. Ironically, we got our best views of the lake by taking a tour of Shasta Lake Caverns, starting with a boat ride across the water. Once on the other side, we hiked up a steep hill to the cave entrance, which is perched high above the lake. The subterranean views are striking, too. 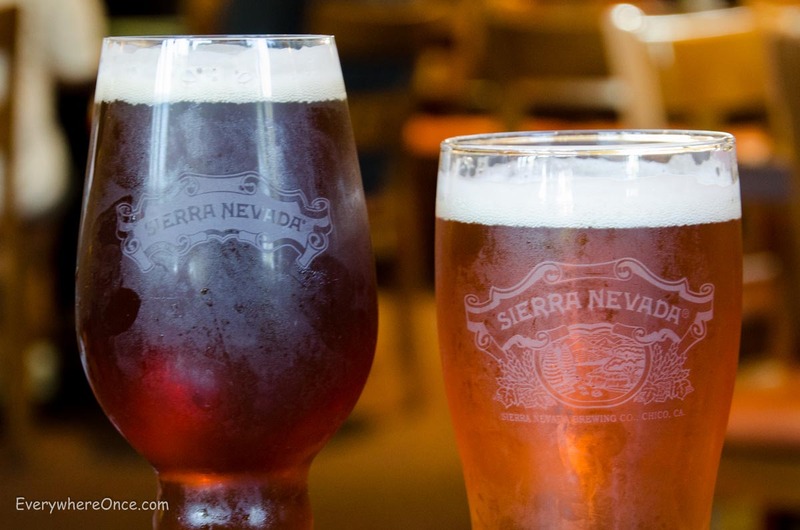 As long-time fans of Sierra Nevada, we recommend beer drinkers stop by their brewery in Chico. For us it was like coming home to the mother ship. We sampled two flights—one dark, one light—and savored brews that aren’t available on store shelves. The only soaring peaks at Sacramento’s Crocker Art Museum are on canvases. The museum has one of the largest collections of works by California artists, along with a range of other globe-spanning offerings, all housed in two connected buildings—an Italianate mansion circa 1872 and a circular, modern wing. 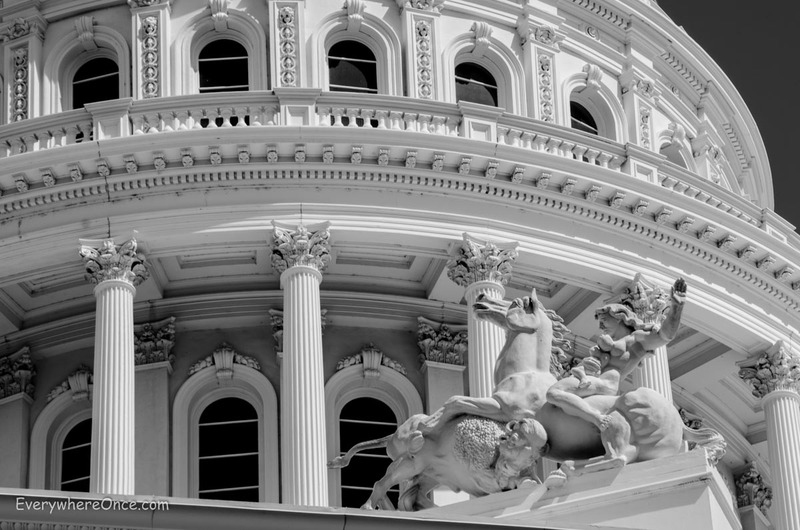 Other man-made wonders to see in Sacramento are the state Capitol, situated on a 40-acre park; a copycat of London’s Tower Bridge, gilded and spanning the Sacramento River; and the Cathedral of the Blessed Sacrament, modeled on a Parisian church. This northern Californian whole-heartedly agrees with your choices! As always, beautiful photography Brian and Shannon! Love the photos and thank you for the information!!! I would love to do a road trip through California! California does have a lot to offer. Thanks for sharing your photos! I’m heading to Lassen at the end of June. Did you hike any trails? We didn’t do any major hiking while we were there. A couple of small things, I think. Loved Shasta and Crater Lake. Two really good spots, for sure. Lovely, lovely. Sierra Nevada is one of the only things worth drinking in the states. We do love Sierra but they aren’t nearly the best brewery in the States. If you like Sierra we could take you on a brew tour that would knock your socks off. And then of course there are wines from California, Oregon and Washington. Mmmmmmmm.